2 Magret de Canard Lobes (Drake Duck Breast), 14.5 ounces each. 2 lobes at approximately 14.5 ounces each. The breasts are trimmed of excess fat and fresh-frozen immediately after the harvest. 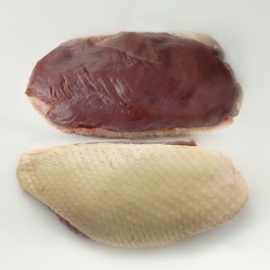 Larger than any other duck breast with wonderful steak overtones and a deep red color. 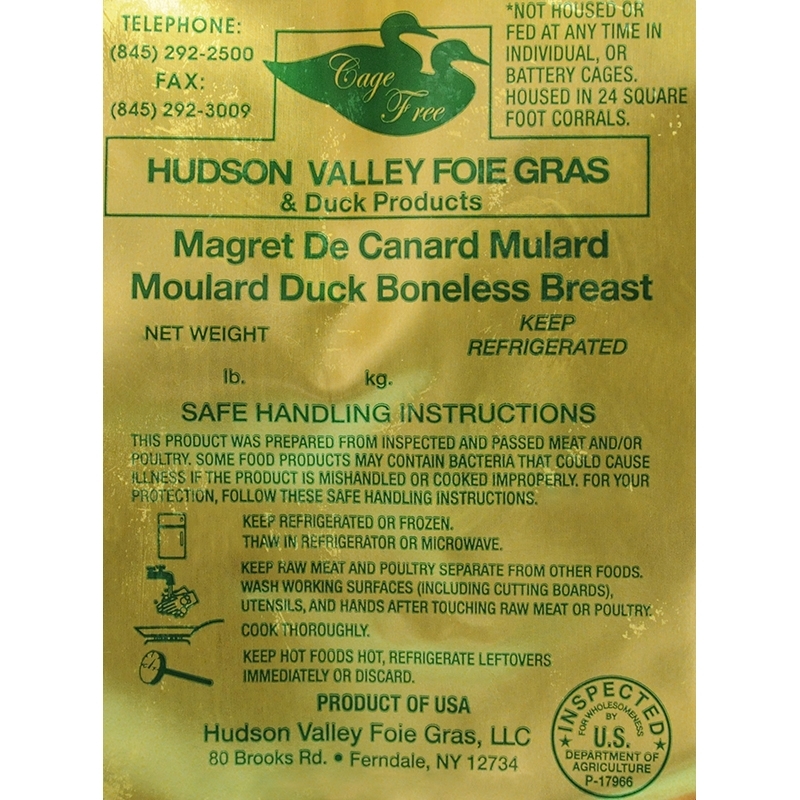 In France, the term magret refers specifically to the breast of a fattened Moulard Duck and this term has been adopted in the United States. The Magret meat gains a rich flavor imparted from the liver, which is a richness absent in regular duck meat. Magret is most tender when cooked rare; allowed to rest after cooking; and, then sliced thinly on the bias just before serving.